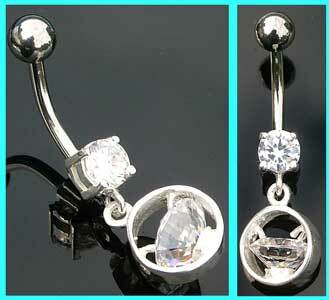 These circle dangle belly bars have a sterling silver design. The 10mm surgical steel belly bar is set with a clear jewel and the drop is made from sterling silver and holds another clear stone. The best eCommerce software by ShopFactory powers P11481. All-in one eCommerce and shopping cart software.